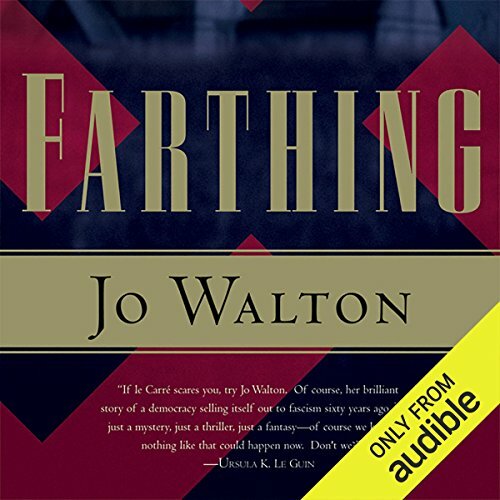 One summer weekend in 1949 - but not our 1949 - the well-connected "Farthing set", a group of upper-crust English families, enjoy a country retreat. Lucy is a minor daughter in one of those families; her parents were both leading figures in the group that overthrew Churchill and negotiated peace with Herr Hitler eight years before. Despite her parents' evident disapproval, Lucy is married - happily - to a London Jew. It was therefore quite a surprise to Lucy when she and her husband, David, found themselves invited to the retreat. It's even more startling when, on the retreat's first night, a major politician of the Farthing set is found gruesomely murdered, with abundant signs that the killing was ritualistic. It quickly becomes clear to Lucy that she and David were brought to the retreat in order to pin the murder on him. Major political machinations are at stake, including an initiative in Parliament, supported by the Farthing set, to limit the right to vote to university graduates. But whoever's behind the murder, and the frame-up, didn't reckon on the principal investigator from Scotland Yard being a man with very private reasons for sympathizing with outcasts and looking beyond the obvious. As the trap slowly shuts on Lucy and David, they begin to see a way out - a way fraught with peril in a darkening world. 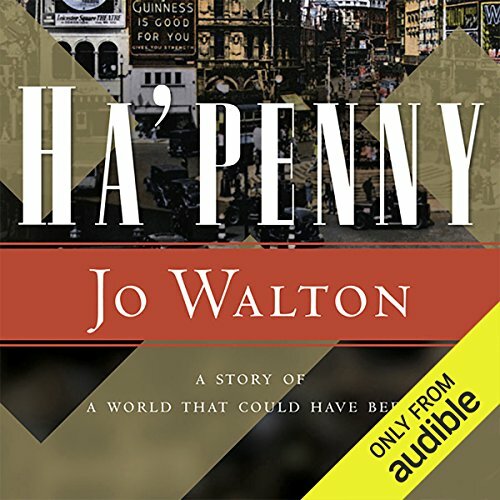 ©2006 Jo Walton (P)2011 Audible, Inc. It Couldn't Happen Here, Right? RIGHT? In 1949, eight years after the "Peace with Honor" was negotiated between Great Britain and Nazi Germany by the Farthing Set, England has completed its slide into fascist dicatorship. Then a bomb explodes in a London suburb. The brilliant but politically compromised Inspector Carmichael of Scotland Yard is assigned the case. 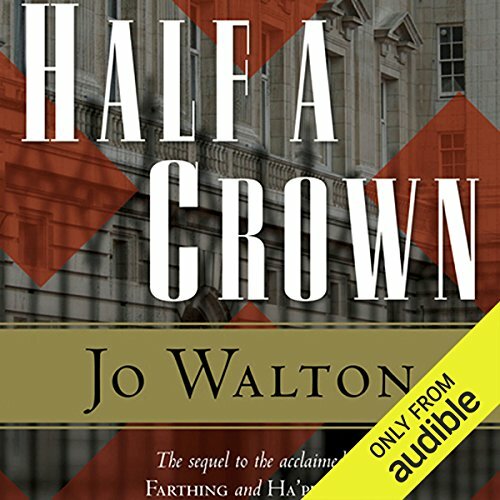 What he finds leads him to a conspiracy of peers and communists, of staunch king-and-country patriots and hardened IRA gunmen, to murder Britain's prime minister and his new ally, Adolf Hitler. In 1941 the European war ended in the Farthing Peace, a rapprochement between Britain and Nazi Germany. The balls and banquets of Britain's upper class never faltered, while British ships ferried undesirables across the Channel to board the cattle cars headed east. Peter Carmichael is commander of the Watch, Britain's distinctly British secret police. Its his job to warn the Prime Minister of treason, to arrest plotters, and to discover Jews.